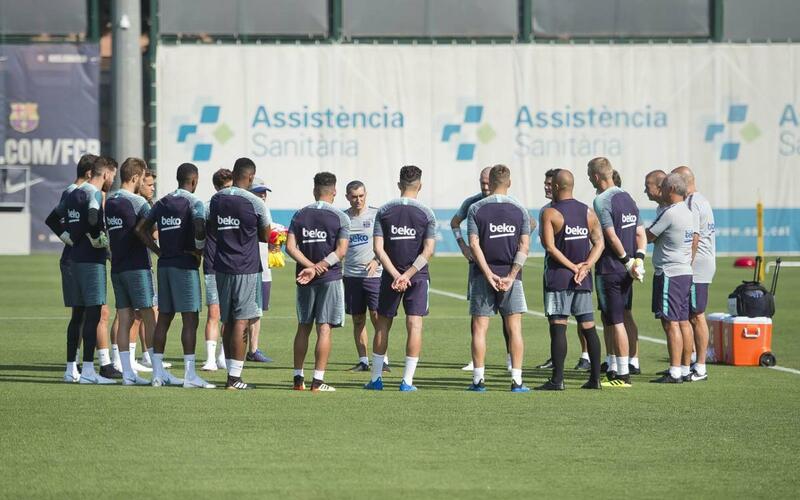 Ernesto Valverde takes to the training ground with fourteen players as preparations continue for the 2018/19 season. Aleña continues with recovery work. Carles Aleñá continued with his recovery programme. The best news from this opening session involved Sergi Samper, who has been given the medical all-clear six months after undergoing surgery on torn ankle ligaments, and injury sustained while on loan to UD Las Palmas in a game with Eibar on January 6. The team will be working out for a second time this evening at 7.00pm CET. They also have double sessions scheduled for Friday and Saturday. The players that have been on duty at the World Cup will be returning in a staggered manner over the next few days and weeks.